"Hi. My daughter lives in Wake Forest NC and I live in McColl SC. We are wondering where to buy good sized peonies. Any thoughts?" I'm guessing by the question, you are looking to buy peonies in pots that are growing with foliage and perhaps even blooms. If this is the type of peony you are looking to buy, the best place to find these are at your local garden shops in spring. That way you can see what each plant looks like when it is growing (instead of buying a bare root). Sometimes you can find peony plants in pots that have been grown in the pot for more than 1 year, and are mature enough to have blooms. Also some companies (like Monrovia) will sell their peonies in even larger pots that are even more mature with many more blooms on them, like 2 gallon or even 5 gallon pots. Finding peonies to purchase locally does have its advantages. When you buy peonies locally you get to pick one out that already has blooms and/or lots of nice looking foliage. You also support local garden shops and the local economy. You are also expressing local demand for peonies. 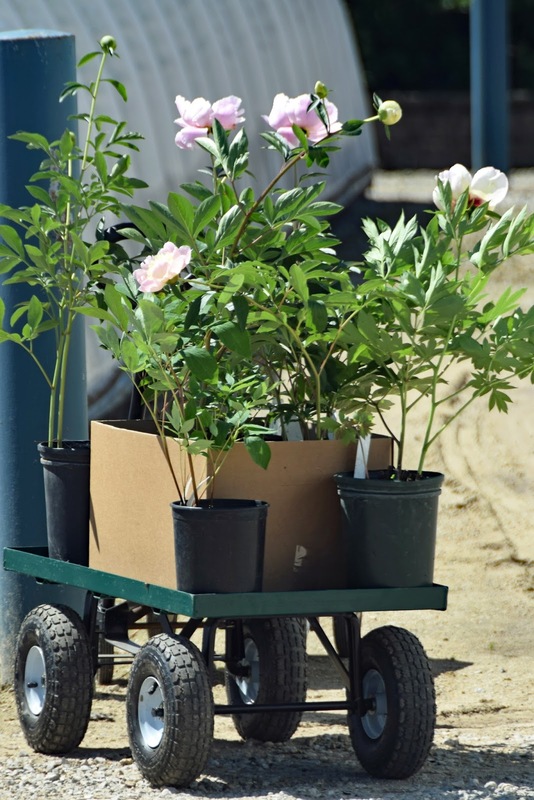 The more peonies local garden shops sell, the more they will carry and buy to sell next year, increasing your chances for more and newer varieties that will be locally-available in the future. Since NC is my home stomping ground, I can definitely recommend shop local garden shops here in Raleigh, NC. 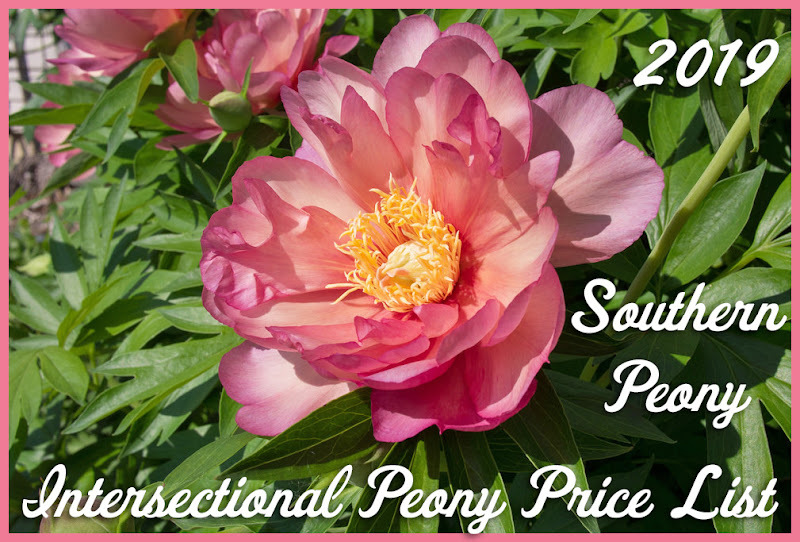 My favorite shops that I've seen and purchased potted peonies from are: Atlantic Gardening Company, where I purchased my current favorite peony, 2013 Monrovia Itoh Peony 'Keiko'™ 愛幕 (Adored), Homewood Nursery, who also donated peonies for the 2013 APS Peony Donation to JC Raulston Arboretum, Logan's, who helped promote the 2017 American Peony Society Convention in Raleigh, NC, and Plant Delights who hosted the APS Conference goers for a tour last year, 2017 American Peony Society Convention Tour of Plant Delights Nursery & Juniper Level Botanic Garden and I recently bought a tree peony from, 2017 Tree Peony Paeonia ostii at Plant Delights Nursery Open House, and offers quarterly open greenhouse weekends. Also some of our readers may know of other local garden shops that sell potted peonies in the spring. 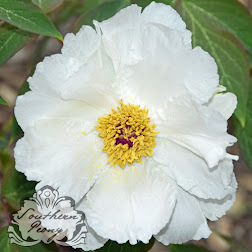 If you know of a great, local nursery that sells peonies in the South, please post a comment and share it here!